Have you ever wondered where we get the belt system used in most martial arts schools? In modern age martial arts, belt colors are determined by either an organization or each individual school. Often, the colors have some symbolic meaning and, almost always, the main focus of the belts is to mark milestones in a person’s training. This is a way to help set goals and chart progress. What many don’t know is that not all schools have belts. Some styles have sashes and others have no belts at all. Because of the term Black Belt, many people think everyone uses a belt system. Also, today’s belt system is different than that of yesteryear. One reason actually has nothing to do with tradition, but with the fact that certain colors and fabrics weren’t always available. The traditional story of how color belts came to be is due to nature. 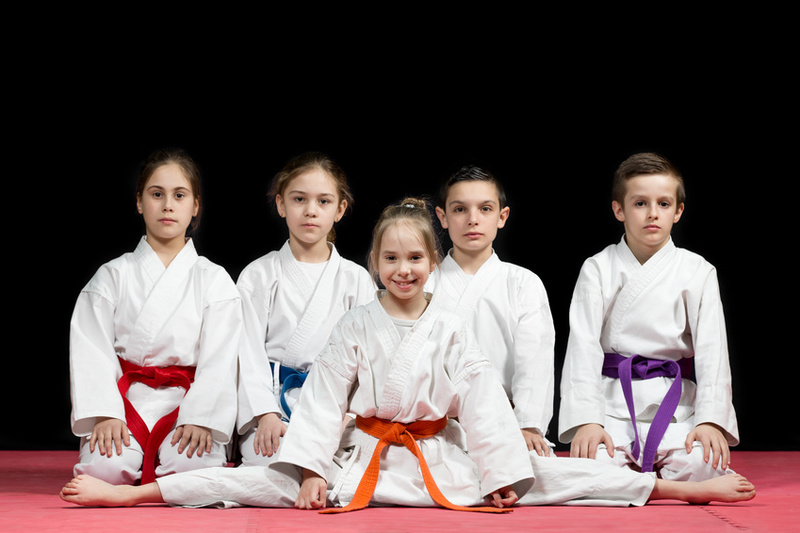 All students started as white belts and, through time, the belts changed color from the advanced level of training that was taking place; yellow from sweat, then green from grass stains, brown and then black from the ground. As time went by, a person’s belt just kept getting darker and darker. You could tell how long people trained in martial arts by how dirty their belts were. The tradition has stuck, at least for white and black belts. Today, you can see two color belts, striped belts, and more. Though they did not exist way back when, they offer the same three objectives: 1) to show progress 2) to set goals, and 3) to keep your clothes on. Are you looking for a place to begin reaching your goals? Then give us a call right now at 757-410-4999 to get started today! Join the fun at King Tiger Martial Arts where you’ll experience expert training in a fun, positive and supportive environment suitable for everyone in your family. Or simply fill out the box in the upper right corner and take advantage of our FREE 30 Day Trial Membership!